On Thursday 21st March St Molaga’s NS held a Cancer Fundraising Event in their school in the form of a ‘Mad Hair Day’ . 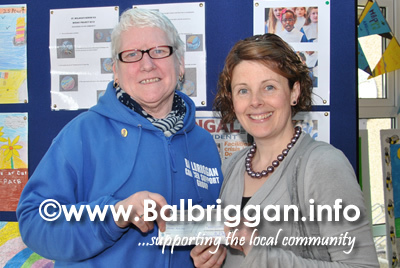 The students had a lot of fun whilst raising a lot of money for a fantastic cause and a cheque was presented to the Balbriggan Cancer Support Group for €600 on Tuesday 30th April. Well done to all the students who made a huge effort on the day!